First photo is of the plastic ring, know as a cabone ring, that is used to form rings in the finished piece of lace. 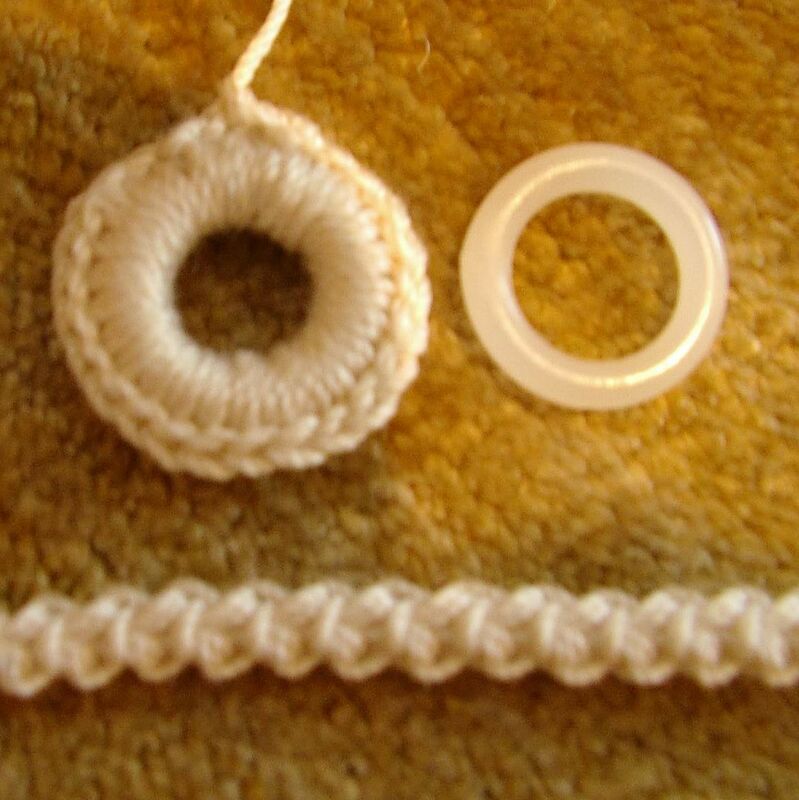 You can also make this same ring with just thread by winding it around the end of the hook the crocheting into the center of the loop, the same as you would in Irish crochet.. Then you crochet using single crochet stitches around the ring. 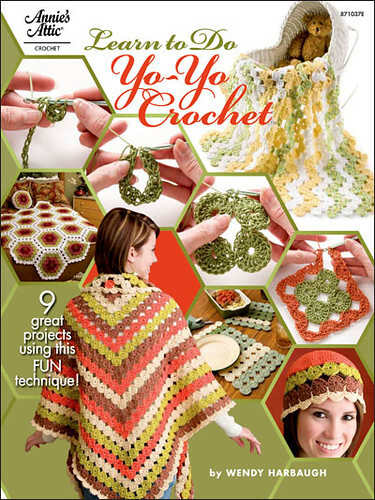 The cord is also made using single crochet stitches. 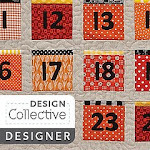 When you have made lots of these two things you can baste them to the pattern. 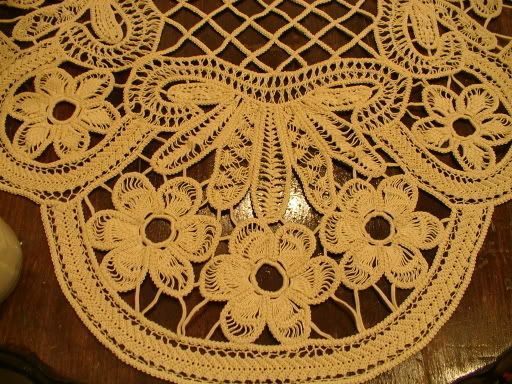 The pattern pictured is from about 1900 and was originally intended to make battenburg/ battenberg (yes it has two spellings) lace. 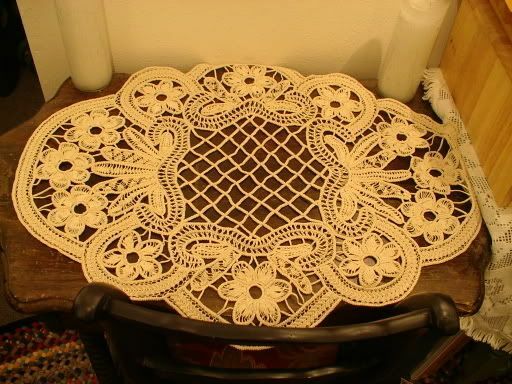 With a few minor tweaks it makes a lovely pattern for Romanian lace. The last picture is of a piece that is still getting the cord and rings basted to it. The filling needle stitches are started after all the basting is done. 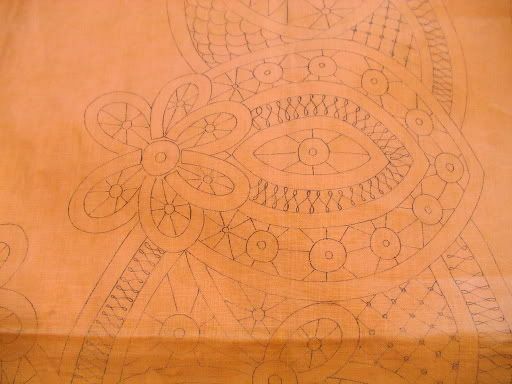 I have not done all the basting on this piece yet, so I have not started the filling stitches. This piece, when completed, will go on top of my husband's up right grand piano. The piece is 6 feet long and 1 1/2 feet wide, so it will take me a while to complete it, but then we will have a lovely piece for the piano. The last two photos are of a piece that is complete and in my hall. I though it showed a good amount of filling stitches so that is why I am showing it. 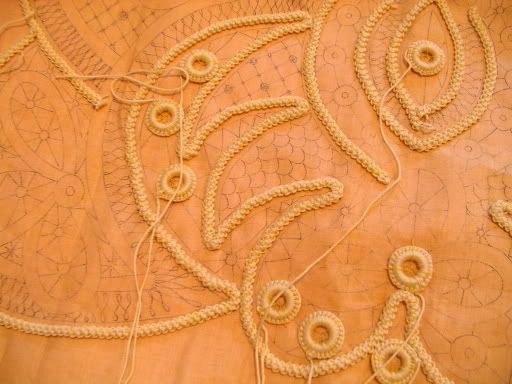 bobbin lace "Princess lace machine"